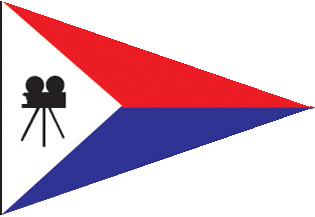 Many of the Midwinter Regatta winners had sails made by Ullman. If you did not finish in the money maybe your sails need to be updated. The knowledgeable staff at Ullman is happy to see what can be done to get you in the winners circle next time around. The article below is from the Ullman Facebook page by team member Keith Magnusson about the MEXORC. As I sit and reflect on the midway point in the 2016 MEXORC regatta only one thought remains constant, fun. The atmosphere only Puerto Vallarta lends to the flavor of this event. City front views are the backdrop for a group or racers who came from all over to compete in this bi-annual event. Team Timeshaver, Viggo Torbemsen’s J-125, traveled from Laguna Beach California and again am fortunate to be part of the team. For this event we have been sailing with ten people and really could do with one more. Our competition comes in the form of four Farr 40’s and two Santa Cruz 50’s. It’s a great fleet and the pedigree of sailors is large. Our racing started on Sunday and we came off rusty. After sailing 1000 miles in the PV race I was a bit off my game during the first start of a buoy event. We ended up a bit late and found it hard to fight our way back through all the bad air and lack of passing lanes. One race on Sunday meant we had to wait a day to recover. And recover we did. The crew work on day two was amazing and we had a great start in the first race that helped us lead the race around every mark. The SC-50 Horizon was nipping at our heels and the Farr 40’s we making us nervous with their upwind presence. We sailed clean and won the race outright. still ahead on the final upwind leg and had a decent lead. We chose to gybe really late and ended up planing to leeward and passing by on the way to the finish and another bullet. The team was clicking now. evaporate as we had a terrible upwind leg towards Punta Mita. The downwind was not much better as we got stuck in a hole and watched our competition sail away. What happened next, well we got a bit lucky. The boats in front of us went towards the ocean for fear of a developing hole. But when we arrived that hole was gone and we skirted along the beach jib reaching at nine knots! We passed all our boats in our class and rounded the final mark in about fourth place overall. Sail changes are always going to happen in a race like this and I would like to take this moment to say our bowman Jack Maranto was excellent. We had the 2A up, Rasta Kite, and with the wind swinging forward I brought the 5A on deck. Jack and the crew executed a perfect change and we romped to the finish to claim the first overall honors! Great way to go into a lay day!